In this digital age journalists may (and probably should) find themselves thinking more about the delivery systems for the stories they write. According to one Pew Center survey (pdf), on a typical day, 14% of Americans aged 18-29 have used a mobile communications device to access the Internet for news, weather, sports or other information. Compare that with the other end of the age spectrum where just 2% of those 30-49 and just 1% of those 50 and older have done the same on typical day. So, how should news organizations be responding? One way involves thinking through the mechanics of a mobile-friendly version of your news site. 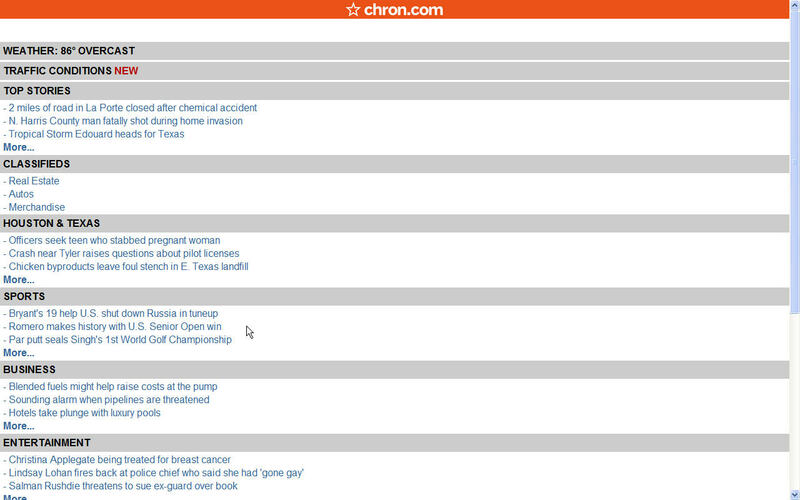 Poynter’s Amy Gahran recently pointed out how the Houston Chronicle allows those using a mobile device to simply point their browers at Chron.com and they are taken straight to the mobile version at mobile.chron.com. The same thing happens if you visit USAToday.com, you go straight to the paper’s mobile site. But Gahran points out, not every news organization is making mobile access easy. …However, my experience (on my new 3G iPhone) is that several news organizations, including ChicagoTribune.com, do not apparently offer this crucial convenience for all mobile visitors. On my iPhone, entering ChicagoTribune.com takes me to their regular site, not their mobile site — which is a considerable usability hassle. So make sure you’re sending your mobile visitors directly to your mobile site: Test your mobile site on the iPhone and other popular mobile devices. Journalists would also do well to browse some of these mobile sites on their own. The importance of well-written headlines is immediately apparent, and knowing how one segment of the audience is accessing information may well be critical to our success in capturing that audience one day.